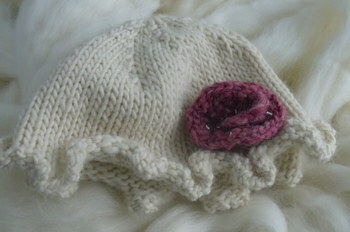 Lately I've been knitting hats. They're such simple, small projects....especially when the recipient's head is approximately 14 inches around! 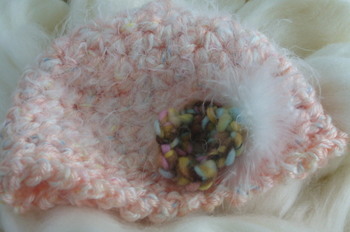 I have an adult sized hat in the works as well, but the baby ones are just so fun! This hat was a gift. Maddy looks so cute in it! And this one I made using a wonderful little pattern that can be found here. 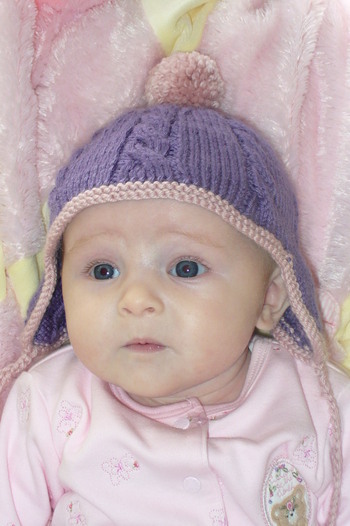 Of course, it looks even more cute on Madelyn! 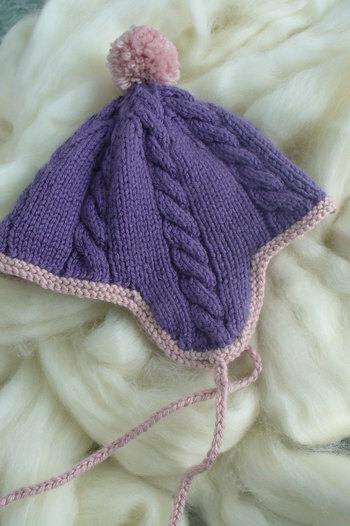 This hat I'm working on for a bigtallman-sized head, pattern found here. I've used this pattern before, and I like the way it works up. 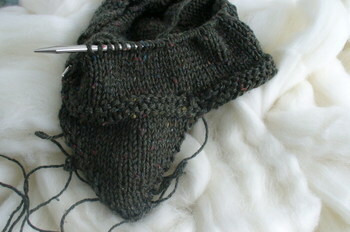 I'm double stranding a cotton tweed yarn, and it's working well so far. 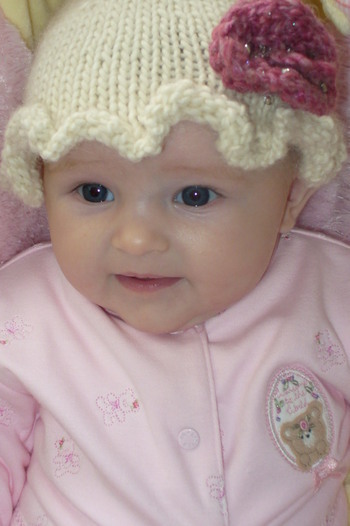 And one more hat for Maddy! I LOVE this hat. The pattern is from Zoe Mellor's book and it was very well written. I cabled without a needle for the first time, and I love it. The yarn is Debbie Bliss cashmerino DK, and it is a dream to work with. Maddy likes the hat too!